Fishermen pull a boat ashore at Angeiras beach near Matosinhos, Portugal, Feb. 12, 2018. 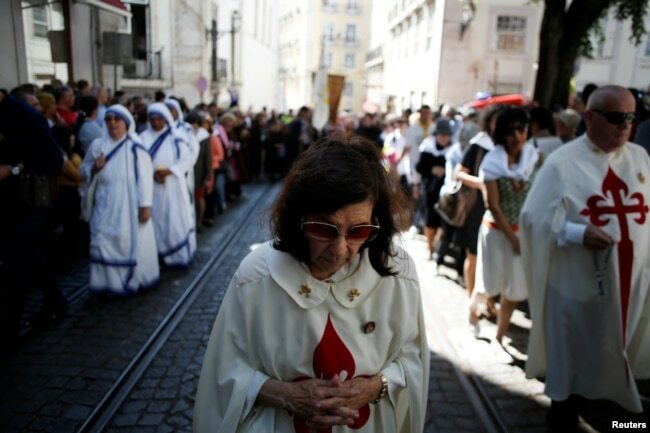 A priest in a white robe swung an incense burner, leading the way for thousands of marchers as they crammed into a winding cobblestone alley decorated with candy-colored streamers in Lisbon’s ancient Alfama neighborhood. Behind the priest, six men carried a life-sized statue of St. Anthony, Lisbon’s patron saint, born more than 800 years ago. The musky incense swirled together with the smoke from orange-hot charcoals grilling whole sardines a few streets away. People take part in the St. Anthony procession in Lisbon, Portugal, June 13, 2018. The procession moved along, leaving behind just the smell of the sardines. In this city, June is the month to celebrate the saints. 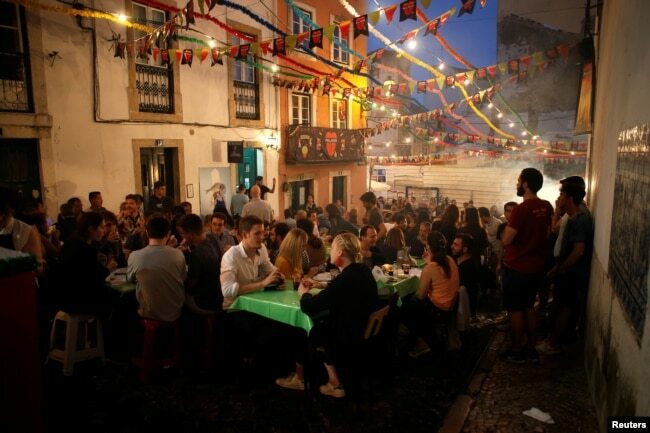 Almost every neighborhood throws a party, known as an arraial. Some are just a scattering of makeshift tables in alleyways. Others cover several blocks and are jammed with tourists and locals alike. The saints are quickly forgotten in the din of pumping pop music, brass bands, chattering families, indiscreet lovers and flirty teens. The sardines are not. They’re the star of every party. The fish are so popular here, fisheries managers estimate that the Portuguese collectively eat 13 sardines every second during a typical June — about 34 million fish for the month. 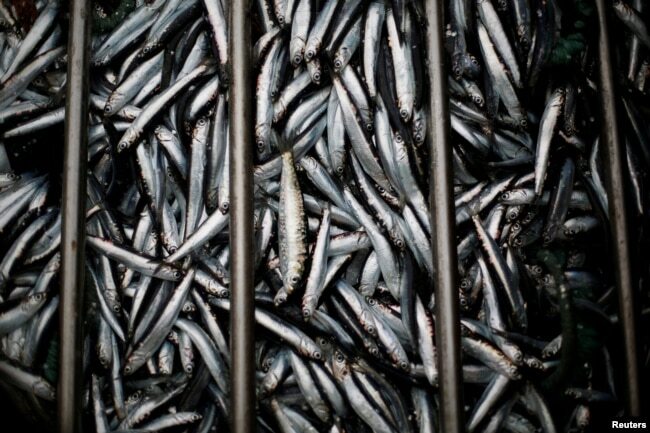 But as climate change warms the seas and inland estuaries, sardines are getting harder to catch. 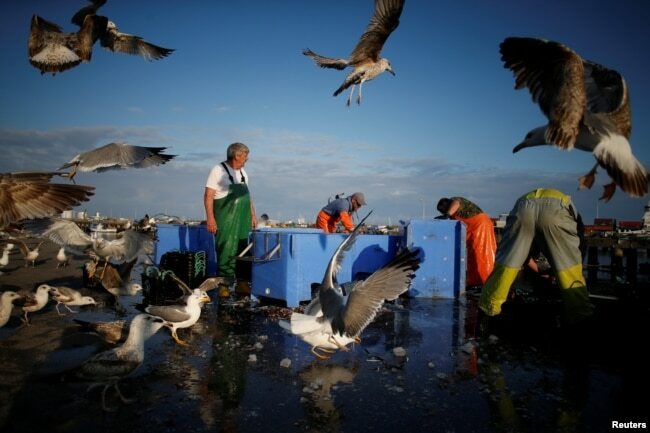 Just a week before the festival, authorities postponed sardine fishing in some ports out of a fear that the diminishing population, vulnerable to changes in the Atlantic’s water temperatures, was being overfished. 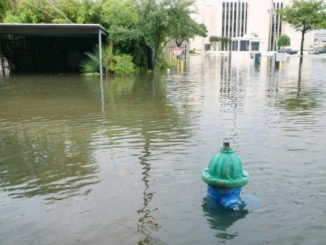 In the last few decades, the world’s oceans have undergone the most rapid warming on record. Currents have shifted. These changes are for the most part invisible. But this hidden climate change has had a disturbing impact on marine life — in effect, creating an epic underwater refugee crisis. Drawing on decades of maritime temperature readings, fisheries records and other little-used data, Reuters has undertaken an extensive exploration of the disrupted deep. A team of reporters has discovered that from the waters off the East Coast of the United States to the shores of West Africa, marine creatures are fleeing for their lives, and the communities that depend on them are facing turbulence as a result. Fishermen are seen at work in the port of Matosinhos, Portugal, May 28, 2018. Here in Lisbon, the decline of the country’s most beloved fish tugs at the Portuguese soul. A nation on Europe’s western edge, Portugal has always turned toward the sea. For centuries, it has sent its people onto the sometimes treacherous oceans, from famous explorers like Ferdinand Magellan and Vasco da Gama to little-known fishermen who left weeping wives on the shore. The St. Anthony’s festival commemorates a 13th-century priest who, church doctrine says, once drew a bay full of fish to hear his sermon. It is the capital’s biggest, most joyous celebration of the year. At the bottom of the track where two bright yellow funicular trains begin and end an 800-foot vertiginous trip through the Bica neighborhood, a social club and a local cafe set up for the festival. Mostly locals were present, though a few German and French tourists have found their way to the party. People sit outside in the Alfama neighborhood during the Festival of Popular Saints in Lisbon, Portugal, June 16, 2018. Four friends sat around a wobbly plastic table perched outside the G.D. Zip Zip social club. There was just enough room for others to walk past and get to the homemade grill where the sardines were being cooked. Three of the friends had sardine skeletons and heads heaped on their plates. They talked about the fish that’s as iconic in Portugal in the summer as a hamburger on the grill in America. This year, however, because of limits on fishing, the available fish were mostly frozen. “We listen to it all year round that maybe this year, we will not have sardines,” Helena Melo said. 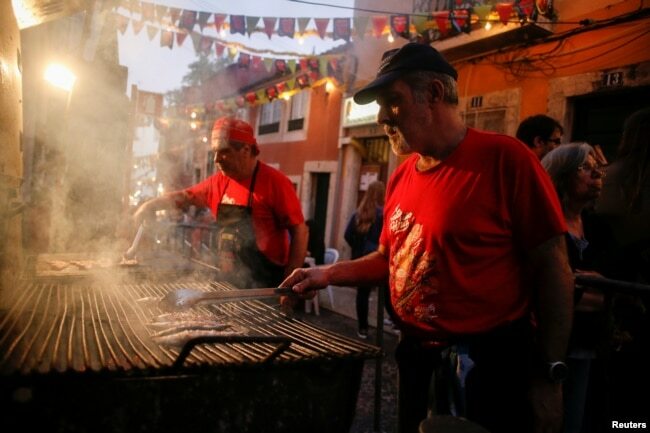 A man grills sardines in the Bica neighborhood in Lisbon, Portugal, June 14, 2018. Fifteen feet up the hill, Jorge Rito, who has been cooking for the club every June for five years, wiped his watering eyes with the back of his hand. He’d just gotten another order and tossed a dozen whole sardines onto the grill in neat rows. As he flipped the silvery fish, each seven or eight inches long, a burst of smoke rose from the charcoal, and he wiped his eyes again. Just as the next generation of humans may pay the highest price for climate change, the youngest generation of sardines is at risk. Susana Garrido, a sardine researcher with the Portuguese Oceanic and Atmospheric Institute in Lisbon, said larval sardines are especially vulnerable to climate change when compared with other similar pelagic species, such as larval anchovies, which are capable of living in a wider range of temperatures. Deep seawater upwelling dominates the waters off the western coast of the Iberian Peninsula and keeps the coastal waters cool. But small differences in temperature, especially when sardines are young, can have a significant impact on whether the fish larva dies or grows to maturity, Garrido said. Other researchers had tested how well adult sardines survived in a variety of conditions, and there was little evidence that environmental variables such as food abundance and water temperature affected the full-grown fish, she said. So she focused on the larval stage of the species. A fisherman brings fish to the auction at the port of Matosinhos in Portugal, May 28, 2018. Garrido said a recently completed stock assessment showed that the larval sardine population was extremely low. “This is getting very serious,” she said. The Portuguese sardine population started to fall about a decade ago, even though there were plenty of adults at the time to sustain large catches. And around the same time, southerly species, such as chub and horse mackerel, slowly moved in. Chub mackerel, a subtropical species that was once found only in southern Portugal, is now caught all the way up the coast. “Probably as a consequence of warming, it is now invading the main spawning area of sardines,” Garrido said. Alexandra Silva, who works down the hall from Garrido, has been managing the Portuguese sardine stock assessment since the late 1990s — pivotal work that the organization uses to decide the size of the sardine catch. When she started, the northern population of the species was in trouble following a period of strong upwelling that brought unusually cold water to the surface. The southern stock, however, was relatively healthy. And in the early years of the century, the species recovered. It was not to last. These days, without large numbers of larvae growing to maturity, the population is near collapse all along the coast from Galicia in Spain to the southern end of the Portuguese coast. All officials can do is cut down on the fishing. 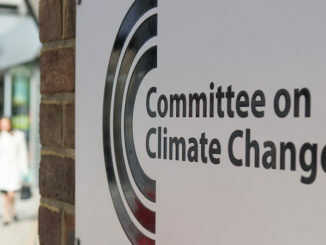 But larger forces, especially climate change, are now affecting the stock in ways that fisheries managers cannot control, the two said. Starting in 2004, they blocked fishing during the spring, when sardines spawn. And for a while, that seemed to work. In 2009, the Portuguese proudly announced that the Marine Stewardship Council, an independent monitoring body, had designated the species healthy and sustainable. 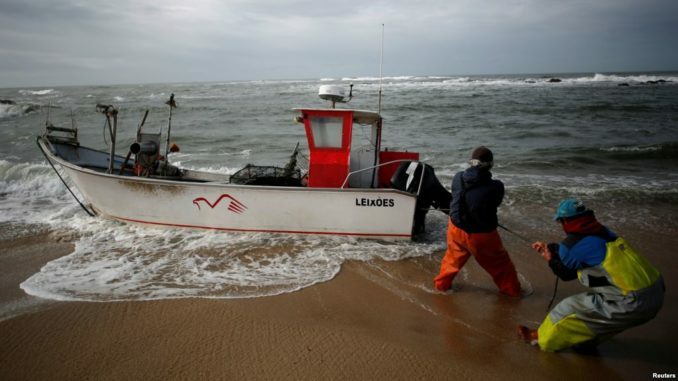 That year, Portuguese fishermen landed 64,000 tons of the fish. 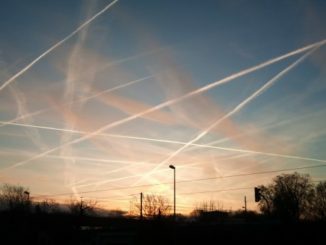 By 2012, however, that number had dropped to 35,000 tons, and the country lost its sustainable certification. Fisherman Erbes Martins sews his net in the port of Peniche, Portugal, Feb. 6, 2018. Since then, fisheries managers have restricted the number of days a week that fishermen can catch sardines, as well as the size of the catch. They’ve also restricted fishing to six months during a year. Last year, the catch was limited to about 14,000 tons. Earlier this year, the International Council for the Exploration of the Sea, a forum of scientists that advises governments about fisheries management, warned that it would take at least 15 years to restore the stock at current fishing levels. After the report, European Union regulators permitted fishermen along the Iberian coast to continue at the current 16,100-ton level. 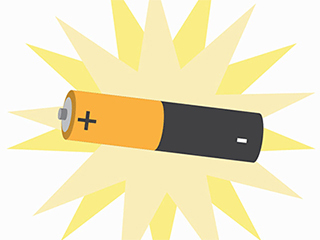 But it also required Portugal, which gets the bulk of the quota, and Spain to submit a plan to restore the stock in October, which may well lead to further quota cuts. Fisheries manager Jorge Abrantes handles landings for Peniche, a sleepy fishing town about 60 miles north of Lisbon. He doesn’t think the fishing industry is the culprit. For example, Portuguese government stock assessments indicated that the sardine population had decreased by 10 percent to 25 percent in just a few months. 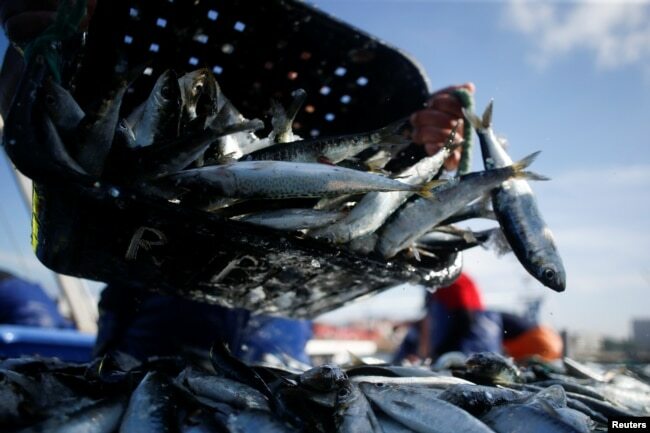 Abrantes argued that the dip clearly wasn’t caused by fishermen pulling sardines from the sea, because no sardine nets were in the water during that period. Instead, he said, there are just not enough juvenile sardines to replenish the population. 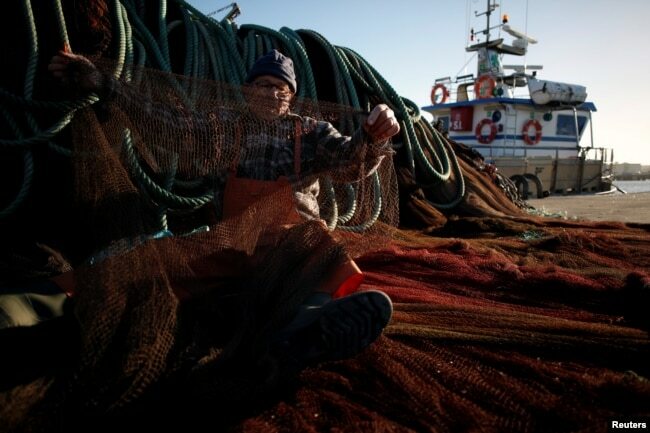 In Peniche, fishermen Erbes Martins and Joao Dias sat among piles of nets on a bright but chilly February morning. The two 75-year-old men would have preferred to be fishing for sardines. But the fish were spawning, so they were not allowed to catch them. Sure, there were other fish they could catch, but it wasn’t worth it, they say. 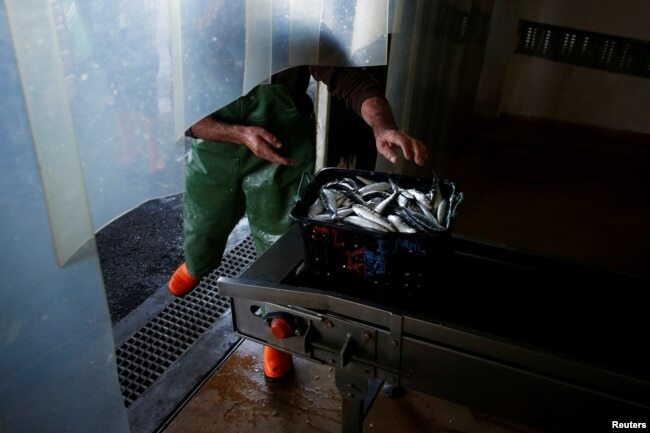 Anchovies are seen after being removed from a boat at the port of Matosinhos in Portugal, May 29, 2018. Horse mackerel, or carapau in Portuguese, one of the southerly species that now thrive all along the coast, is abundant but doesn’t sell for much at market, Dias said. He said the restrictions on fishing sardines were keeping a new generation from going to sea, because they can’t make enough money. Lisbon’s Graca neighborhood sits at the highest point in the capital, its pastel homes looking down over the city’s six other hills. For the St. Anthony festival, two stages were set up for music, along with about 20 temporary food and drink stalls. Luis Diogo Sr., his wife, Rita, and their two children, Luis Jr. and Vera, came out to join the party. Luis Sr. looked across a picnic table at his son, who was well into his third plate of sardines. “This is a country between Spain and the sea, so we went to the sea very soon in our history,” he said. The talk turned to the present, and the dwindling catch of the city’s favorite seafood. Luis Jr. didn’t pay much attention to his father. He was too focused on his sardines. “I would miss this very much,” the 17-year-old said, wiping his lips clean after polishing off the last sardine on his plate.